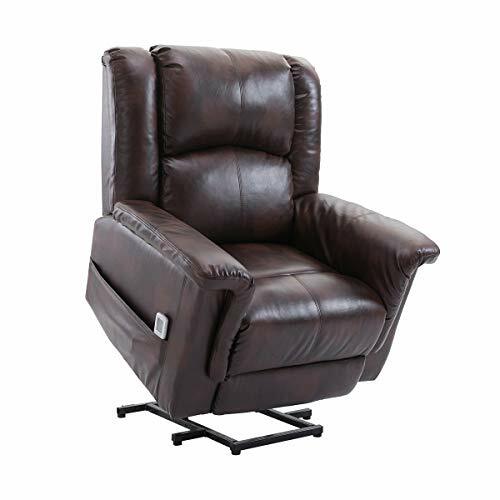 The Esright power lift recliner is an elegant-looking chair with some very good features for senior users. It’s got a power lift function, lumbar heating, vibration massage, and a solid frame. It is affordable, too. It has one design weakness, though. Read our full review to find out what it is. Provided by the distributor AECOJOY. 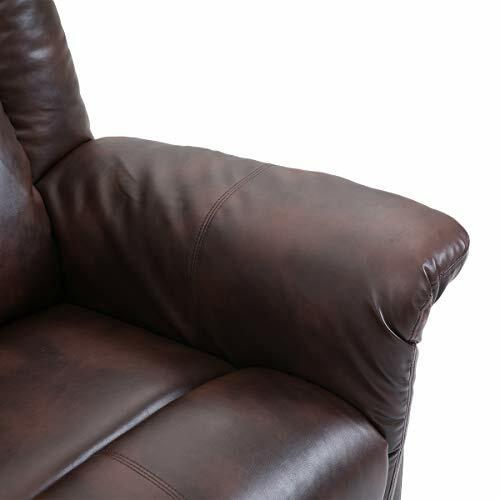 Recliner – You can sit back and put up your feet. It reclines up to 130 degrees. Power lift – It tilts forward to help you stand up easily. 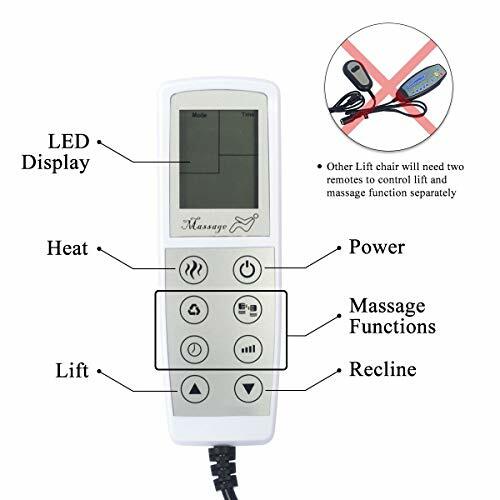 Vibrating massage – Similar to other recliners, the massage provided by this chair is vibration massage. Programs – It has 5 modes namely pulse, press, wave, auto, and normal. It is also able to focus the massage on certain parts of the body including the legs, thighs, and back. Heat – The chair gives off heat targeted at your lower back. Young ‘uns don’t know it yet but the older you get, the weaker your knees become. Suddenly, the simple act of getting up from a chair becomes a painful struggle. Hence, we were very happy to try out this feature. Admittedly, when we first saw the design, we wondered dumbly why a chair would need to tilt forward. Was it to dump you out of your seat like a Tom and Jerry prank? Happily, the purpose for this feature became clear to us. A senior with weak knees can use the power lift feature to tilt the chair forward mechanically, and be helped up to a standing position. Amazing, right? For a few hundred bucks, you get a comfortable recliner with bonus features. And did we mention it looks classy in any room? The power lift function seems to add about a hundred dollars to the price. A lot of expensive massage chairs don’t even give you options for how long you want your massage to be. Some just have 15 minutes and that’s it. You’d have to reset the controls to get another 15-minute massage. This Esright recliner lets you choose from the following: 15, 30, or 60 minutes. My golden spot is 15-30 minutes. Anything more than this and it gets too much for me. If you are getting this chair, start off with the shortest time first, and then work up to the longer time durations if you feel your body is ready for it. Otherwise, you might just get more body aches instead of getting a rejuvenating experience. Some brands and models don’t get the heating right. It’s either too weak or too strong. With the Esright though, the heating is at a comfortable level. It really is an ideal chair for seniors because this is perfect for painful backs and cold winters. If there was one thing that Esright designers need to fix right away to make their chairs a big hit, it would be the footrest. Once it’s up, it’s hard to get back down to the locked position. For some, you only need some pressure to push it back down. For others who get a bad chair, it gets stuck in this awkward position. If you’re a senior with weak hands or body strength, this is a deal-breaker unless you have someone who can assist you. 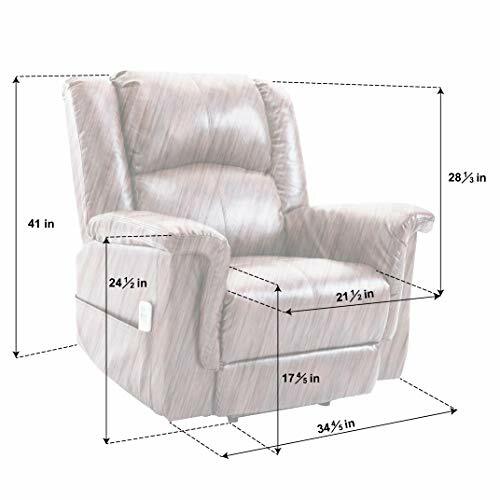 If you are a senior moving from the Esright recliner to your wheelchair, the chair will slide off and cause you to lose your balance if you are not too stable in the first place. 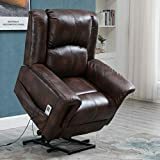 Normally, this wouldn’t happen with the big massage chairs because of their sheer weight but these recliners are lighter and will slide on smooth or wooden floors. There are easy fixes though. You can place a non-slip mat under the chair and/or place a heavy weight behind the chair so it doesn’t move back. 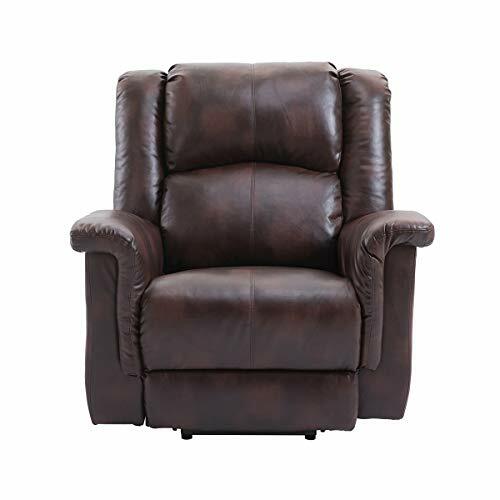 We previously reviewed the Esright recliner without the power lift and we praised it for having unbiased customer reviews. Sadly, we can’t say the same thing for this chair. We really really wanted to like this chair because of the power lift function. It’s a really helpful feature and the whole chair design is geared towards the aging adult. From the deep and wide seats, the metal frame, the lumbar heating, to the power lift. Sadly, it disappoints in the ease of use of its mechanisms. If only the footrest (and even the recline) were smooth as butter to operate, we’d rate this a 10 out of 10. As it is, there are actually better models and brands you can buy out there at the same price point. We’re already testing a few — recliners with power lifts, that is — and we’ll be ready with our write-ups soon. Watch out for those. If you are set on this chair though, it is still a good buy especially if you get one that doesn’t have the footrest problem.